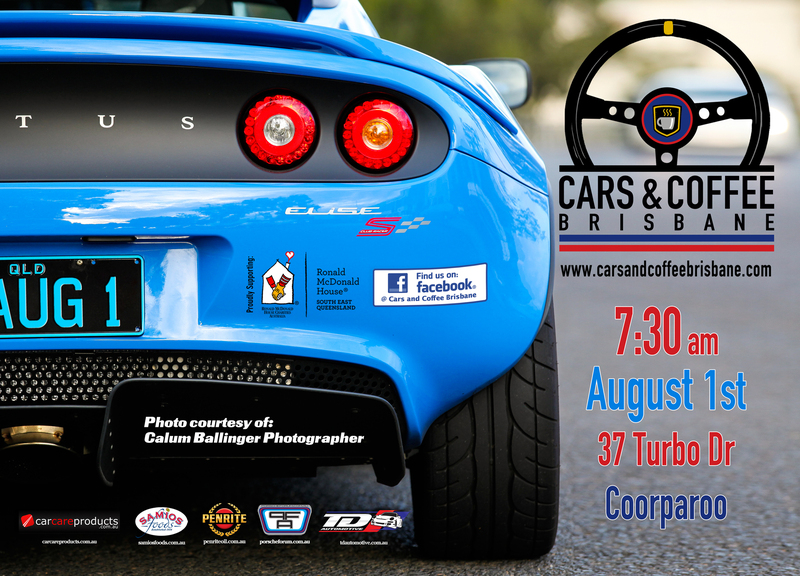 It’s almost that time again – join us from 7:30am on the 1st August for another Cars & Coffee Brisbane. As per usual we invite classic/vintage/historic/race or just plain interesting cars to come along for a sociable family friendly morning. Thanks again to our hosts Samios Foods who are providing great coffee and delicious food (as well as a variety of items instore). As usual we’re raising funds for Ronald McDonald House South East Queensland and they’ll be on site accepting donations. and finally, thanks also to TD Automotive, The Detailing Studio, Car Care Products and Penrite Oil for their ongoing support and all the other ‘behind the scenes’ people (and attendees!) that make it all possible.